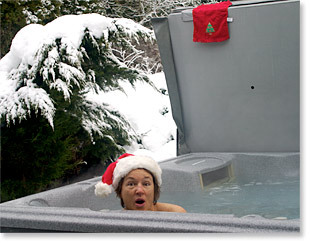 Very best wishes for a happy hot tub ... er, ... holiday season from The Sheehan World. 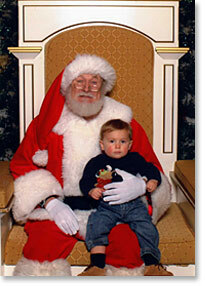 Michael E. Sheehan didn't shed any tears when he met Santa Claus this year. But he does have that stoic Sheehan look, doesn't he? 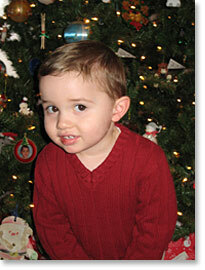 Connor J. McCarthy is Michael Sheehan's cousin, and another great-nephew of Sheehan World publisher Kathy Sheehan. There are only two princesses young enough to have their photo taken with Santa this year. 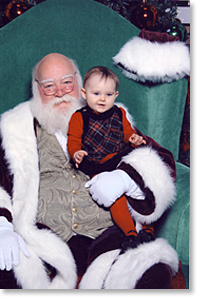 And "Molly Moe" Mahoney (right) was the one brave enough to sit on Santa's lap. Molly lives in Massachusetts, too. 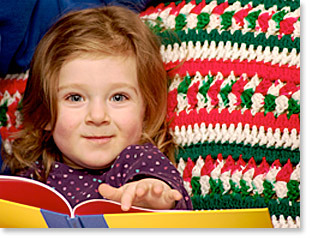 Princess Paige Cook is shy around Santa Claus, but not around a camera! 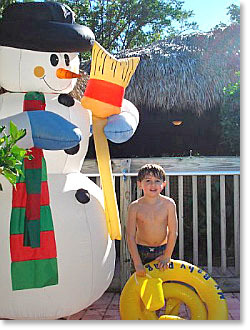 Aidan Sheehan, shown here with his new friend "Frosty," had a warm Christmas in Florida. 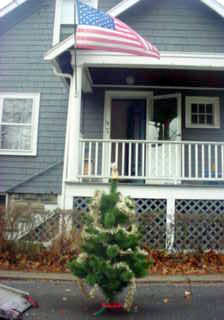 The Sheehan Family home and Christmas tree in Cambridge, MA, about 8 years ago. For some other photos of the snowy December we have had in the Pacific Northwest, view Capt. 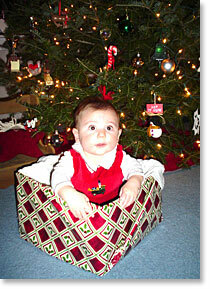 Kathy's MobileMe Photo Gallery.